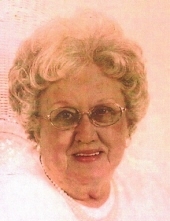 Minnie Louise McKnight, age 92, of Dawson Springs, KY passed away on Sunday, December 16, 2018 at Baptist Health in Madisonville, KY. Ms. McKnight was born on August 24, 1926 in Hornbeak, TN to the late Paschal Williams and Mary Anne Craig Williams. She was a homemaker and she was a member of the Ilsley Christian Church. Ms. McKnight is survived by one daughter and son-in-law ~ Rebecca Beeny (Terry) Messamore of St. Charles, KY, two sons and daughter-in-laws ~ James Dann (Ginger) McKnight of Dawson Springs, and Robert Dale (Patricia) McKnight of Princeton, KY; one brother ~ Ray Williams of Princeton, KY and one sister ~ Mary Kay (Richard) Storm of Princeton, KY, and one daughter-in-law ~ Sherry McKnight of St. Charles, KY; ten grandchildren ~ Robin McKnight, Chris McKnight, Emily Beeny, Eddie Beeny, Evvan Beeny, Andy McKnight, Deanea McKnight, Krista Boyer, Brandon McKnight and Zach McKnight, and nine great-grandchildren. She was preceded in death by her parents; her husband ~ Isaac Carl McKnight; two sons ~ William Carl McKnight and Thomas Dean McKnight; two brothers ~ Billy Joe Williams and Robert Eugene Williams; two sisters ~ Sarah Guthrie and Doris Latham. Visitation for Ms. Minnie Louise McKnight will be Wednesday, December19, 2018 from 9:00 AM until the funeral hour at 11:00 AM at Beshear Funeral Home, Dawson Springs, KY with Rev. Jesse Hendrix officiating. Burial will follow in Rosedale Cemetery. Pallbearers will be Eddie Beeny, Chris McKnight, Andy McKnight, Evvan Beeny, Brandon McKnight and Zach McKnight. To send flowers or a remembrance gift to the family of Minnie Louise McKnight, please visit our Tribute Store. "Email Address" would like to share the life celebration of Minnie Louise McKnight. Click on the "link" to go to share a favorite memory or leave a condolence message for the family.